'The money is channeled through private sources, with full coordination with Erdogan and his aides,' reports World Tribune. The sources said the government of Turkish Prime Minister Recep Tayyip Erdogan has overseen the transfer of up to $250 million a year to Hamas, and particularly to its governing apparatus in Gaza. “The money is channeled mostly through private sources, but with full coordination with Erdogan and his aides,” a source said. Turkey has coordinated the cash transfers with Qatar, which has been hosting the Hamas leadership since its expulsion from Syria in late 2011, according to the report. Turkey is the only NATO member to recognize Hamas. According to the Tribune's sources, Ankara has hosted a Hamas presence, led by Salah Al Arouri, that facilitates operations and cash transfers, mostly to Judea and Samaria. In 2012, Qatar pledged $400 million to the Hamas regime in Gaza. But the sources said most of the money failed to arrive because of Doha’s crisis with the new military-backed regime in Cairo. 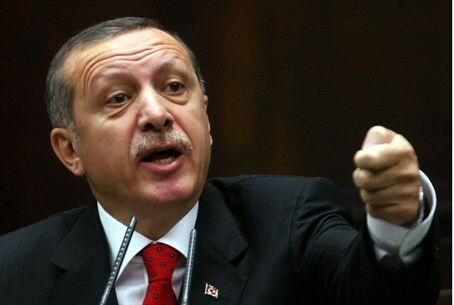 The sources said Israel has urged NATO members, particularly the United States, to stop Turkish funding of Hamas. They said the Turkish support was also undermining the Palestinian Authority, which is run by the Fatah terror organization, and which has control over parts of the Jewish biblical heartland of Judea and Samaria. Turkey was also said to have provided training to Hamas security forces. They said the Turkish training, provided by non-government elements aligned with Erdogan, was presented as an effort to enhance order in Gaza. Hamas said in June that its relations with its longtime sponsor, Iran, had suffered as a result of Hamas's support of rebels battling Syrian President Bashar al-Assad, whom Iran supports with its troops and those of its proxy Lebanese force, Hezbollah. Hamas was also once an Assad ally but last year it endorsed the revolt against him. "Our relations with Iran were affected both on the political and the financial levels," said Ghazi Hamad, “deputy minister of foreign affairs” in the Hamas-run government in Gaza. "We have stood by the Syrian people and we have backed the demands of the revolution," Hamad told reporters, saying those positions had led to a worsening of ties with Tehran. He said Hamas was still meeting its payroll and "had lots of other sources" for money. But he added: "Things are not easy ... and we are trying to overcome the problem. A diplomatic source in the region told Reuters at the time that Iran has provided Hamas with up to $20 million a month to help pay the salaries of nearly half of 50,000 Gaza government employees.